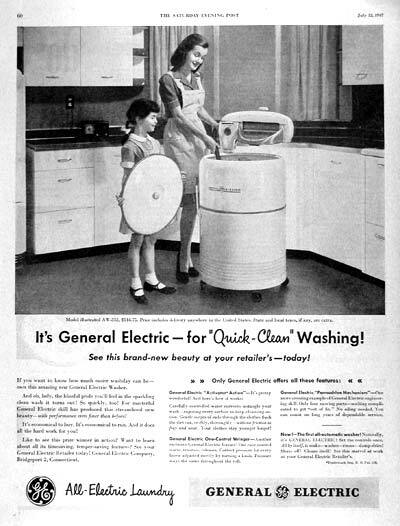 1947 General Electric Washing Machine original vintage advertisement. Photographed in black & white. Features model AW-332 with a MSRP of $144.75.